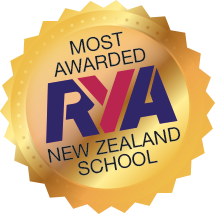 Worldwide, the RYA Yachtmaster Offshore (Sail) practical certificate of competence is widely regarded to be the pinnacle of all sailing qualifications. The Yachtmaster Preparation Week is a 5-day course during which the instructor will provide candidates with the opportunity to polish and sharpen up their existing skills and knowledge in preparation for the practical exam. Also, to enable candidates to become familiar with the boat and local waters on which the exam will be conducted. During the preparation week the instructor will identify areas that might need more work and will provide ongoing feedback and advice regarding the level that candidates for the exam are realistically at. At the end of the preparation week you should have a clear idea as to whether you’re ready for the Yachtmaster Offshore exam or the Yachtmaster Coastal exam. In some cases, the preparation week will highlight that a candidate might not yet be ready for either exam. In this situation Sail Nelson will provide an action plan for further experience and training prior to returning to sit the exam at a later date. For both Yachtmaster Offshore and Yachtmaster Coastal the exam is the same. The difference is that Offshore candidates are required to have more experience and a higher skill level than is required for Coastal. The decision as to which level of exam you wish to be assessed for must however be made prior to commencement of the exam. A Yachtmaster Offshore candidate cannot be awarded the Coastal certificate if they don’t quite make the Offshore grade. At Sail Nelson we run RYA Yachtmaster exam prep courses on selected weeks, Monday-Friday with the exam taking place immediately afterwards over the weekend. At the end of the 5-day preparation week the instructor will leave the boat and an independent RYA examiner will come on board to conduct the exam. The exam continues overnight and spans at least two days. With 8-12hrs per candidate required by RYA guidelines, the finish time for the course will depend on how many candidates are sitting the exam. If you need to book flights ahead of time, then please allow until Sunday evening in Nelson. During the exam each candidate will act as skipper for several hours and be given a variety of practical and navigation exercises to carry out. Above all the examiner is assessing skippering and crew management skills, not just your ability as a sailor. The prep week is not designed to teach anyone to become a Yachtmaster. In just one week this would be impossible anyway. To sit the Yachtmaster exam, prior to the prep week, you already need to be a very knowledgeable, experienced and skilled skipper, usually with many years of experience in a wide variety of conditions and locations on a number of different sailing vessels. The exam is simply an endorsement of your experience, skill and ability as a Yachtmaster skipper. There are a number of prerequisites to sitting the exam and several ancillary certificates also required, prior to being issued with the certificate. But by far the most important overriding factor is that the candidate has the necessary knowledge and skill, not just as a sailor but as a very experienced skipper. For potential Yachtmaster candidates who aren’t sure if they are at the level of Yachtmaster we strongly recommend joining us for the 5 day Coastal Skipper course. During this week you will gain valuable tuition and coaching towards the next step of Yachtmaster and we will be able to accurately advise you of your skippering experience, knowledge and skills with respect to potentially going for Yachtmaster. The theory course can be taken online through various providers, such as www.navathome.com.au and covers the theory knowledge that is required at Yachtmaster&trade; level. Sail Nelson recommends that you have done this shore-based course fairly recently prior to the exam, or at least have the theory knowledge to this level. Not the course for you? Head back to the RYA Cruising Scheme Explained page.